Year-round adventure for all generations. Breckenridge, Colorado's reputation for perfectly groomed cruisers and knee-deep fresh powder bring people here for ski vacations, but its summers convince them to call our mountain community home. Breckenridge and the Colorado high country are known for the best snow in the nation, with an average of 300 inches of snowfall each year. Couple that with mild summers and abundant outdoor activities, and not many places can compare. If you are looking for the perfect spot to start your mountain living adventure, look no further than Colorado's best ski town, Breckenridge. The spectacular picturesque views, amazing activities, wonderful amenities, friendly atmosphere and, of course, world-class snow make Breckenridge the perfect place to call home. Thinking About Moving To Breckenridge, Colorado? Contact Us to Learn More! Living In Breckenridge & So Much More! Beyond the slopes of the top-rated Breckenridge Ski Resort, there are many activities to keep every person, every family and every generation happy and ready for more. Sail along Lake Dillon while the sun is setting and admire the beauty and alpenglow of the surrounding peaks. Stroll hand-in-hand along Main Street on a magical snowy eve. Bike or hike through the forest, take a scenic gondola ride with the family or head to one of the area's signature events — from classical music under the stars in the summer to the premier snowboarding event in the winter. The splendor of our natural resources — accessible, shared and protected — are waiting. 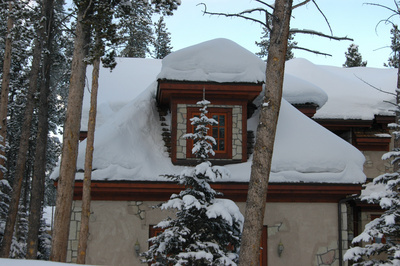 Start carving your path to the mountain lifestyle by checking out the current Breckenridge real estate listings. Let us be your connection and resource for mountain living in the high country. Learn more about life in the mountains , contact us today!.